Kyle Busch won the Nascar Cup Series race in California, earning his 200th career win across the top three Nascar Series. It was his 53rd career Cup Series win. He also has 53 victories in the Truck Series and 94 in the Xfinity Series. Joey Logano was runner-up. 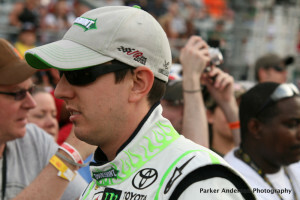 The post Kyle Busch dominates in California/wins 200th appeared first on ButlerRadio.com – Butler, PA.